Reconnective Healing® can help when there is suffering from illness, whether it be physical, pain or mental dis-ease, then we are falling short of our human potential, which is optimal health and wellness. Most of us will fall short in a myriad of other indicators simply because there is a gap between what we believe we can do and what our amazing body and mind is really capable of doing. Major Universities have conducted recent studies showing that Reconnective Healing®, the most advanced form of evolutionary energy healthcare today. The research clearly points to the fact that Reconnective Healing® can easily help people step into their full optimal potential and become stronger, healthier and happier. Reconnective Healing® frequently provides instantaneous and life-lasting results for those who have range of motion limitations, cancers, AIDS-related diseases, epilepsy, cerebral palsy, chronic fatigue syndrome, rheumatoid and osteoarthritis, chronic pain and much more. Studies from leading scientists from California to Russia, quantifies the transformation that takes place with Reconnective Healing®. Dr. Konstantin Korotkov, one of the world’s leading university scientists specializing in bioenergetic research, chronicles in his recent book, Science Confirms Reconnective Healing®, the multiple studies demonstrating that Reconnective Healing® is powerful and scientifically measurable. Now for the first time there is access to a new and more comp rehensive spectrum of healing, including animals, than has been available before and not only includes but expands beyond any known forms of “energy” healing. The Reconnective Healing® spectrum is comprised of the full healing and evolutionary continuum of energy, light and information. It allows for healings that are physical, mental, and emotional and beyond to bring you the healing that includes the evolution of your being. The Reconnective Healing® frequencies are composed of light, information, and intelligence. They work on our DNA, acupuncture meridians and the grid or the light field that is surrounding us and extending out from our meridian lines. The Reconnective Healing® frequencies reconnect us with higher vibrational frequencies, which in turn act on our DNA. The Universal Intelligence knows exactly what healing you should receive and will direct the frequencies for the healing you need. As your Reconnective Healing Foundational Practitioner, it is my role to receive the light and information and transmit this information to you. I am the catalyst bringing the frequencies to you and allowing the Universal Intelligence to take over and give you the healing that is intended for you. Every individual’s experience is unique to their needs. I offer In-Person and Distance Reconnective Healing® sessions to clients across the US and globally. There is no difference in effect between In-Person and Distance sessions when it comes to Reconnective Healing®. In fact, many of my distance clients have reported extraordinary results with distance healings. Being a quantum modality, with Reconnective Healing®, distance is irrelevant in the experience of the light, energy, and information exchange. The intent of The Reconnection is to bring us to our inherent connection with the universe. 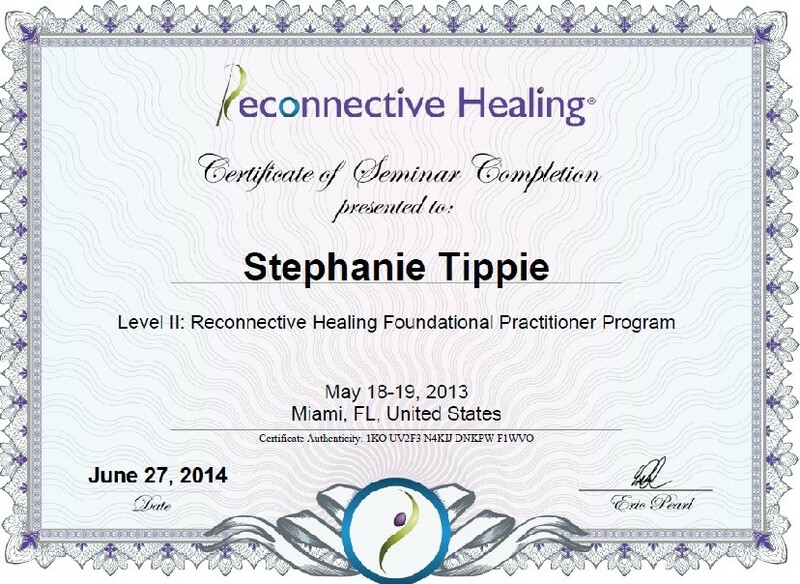 This is done in two sessions, generally a day apart, and is referred to as receiving your Reconnection. Did you know that of our bodies contain its own set of energetic lines and points? Although they are only remnants of what they once were, these lines and points continue to serve as our interface with the universe. This interface is a channel that facilitates our communication of energy, light and information between large and small, macrocosm and microcosm, the universe and humankind. As theory has it, at one point in time we became disconnected from these lines and lost access to the fullness of our inherent connection to the universe, distancing us from our previously rapid and expansive rate of evolution. The Reconnection brings in “new” axiatonal lines that reconnect us on a more powerful and evolved level than ever before. These lines are part of a timeless network of intelligence, a parallel-dimensional system that draws the basic energy for the renewal functions of the human body. 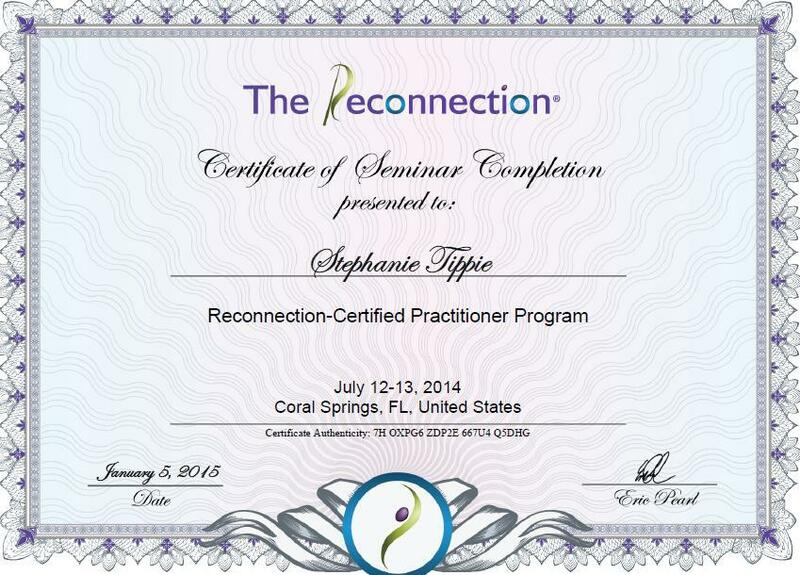 As a Reconnection-Certified Practitioner, I have the ability to facilitate The Reconnection. The Reconnection, unlike Reconnective Healing, can not be done remotely.